This is the place where you can come to find Source Solution Miracles which are the Miracle-Based, Spiritual Solutions created by the Source/Creator to stop the suffering in the world and manifest the Heaven that life your life and all of life was created to be. These miracles are a part of The Source Connection Support System. Each Source Solution Miracle is a Source Connection Miracle that simultaneously helps you solve a problem in your life or manifest an aspect of the Heaven of True Happiness by helping you to strengthen your Source Connection. A 100% Source Connection is the key a Life that is Heaven and is essential, now that The Transition has begun, to your survival on spiritual and physical levels. The Source Solution Miracles that you will discover here are Building Blocks of the Total Abundance that will establish a sustainable way of life for all beings before the end of The Transition. The Source Solution Hub is a Miracle Tool that enables you to attune to Inner Plane Source Guidance to discover the Source Solution Miracles that the Source has created for you and others. Source Solution Miracles are the Puzzle Pieces that you assemble to complete your Personal Picture of the Heaven of Total Abundance. Source-Directed Activists working together assemble the Source Solution Miracles that complete The Picture of Total Abundance for The Universal Community, which encompasses all beings throughout the Creation, including our Global Community. In The Source Solution Hub, I provide Introductory Materials that help you to understand what a Source Solution Miracle is and how it functions to manifest The Picture of the Heaven of Total Abundance in your life and world. These materials also help you to understand how to enter into a Source-Guided Miracle-Based Adventure to find the Treasures of Total Abundance that the Source is bringing to your attention. In the process of learning about the Source Solution Miracles, you learn about the Source, about The Source Perspective on the state of the world, and why the Source has created a particular Source Solution Miracle to solve a problem or enable beings to build a certain aspect of Total Abundance in their lives. From reading about specific Source Solution Miracles, you learn what a miracle is, how it functions, and how to work with one. Time spent in The Source Solution Hub reading about Source Solution Miracles is Time with the Source. It is time when the Source guides you to discover what is yours to discover so that you can become a Trained & Equipped Source-Directed Activist working with Source Solution Miracles to stop the suffering in your life and in the world and manifest The Miracle of Total Abundance for all beings. The best way to understand the Miracle of a Source-Created Solution is to begin by watching the video below. This will introduce to what a Source-Created Solution is and how it differs from a Self-Created Solution. It will also provide you with information on how to work effectively with a Source Solution Miracle. NOTE: To get the full benefit of the energies transmitted through the Source Communication in this video, I recommend that you view at full screen by using the ‘Full Screen’ button. All Source Solution Miracles are created by the Source to function as Puzzle Pieces that you assemble to complete The Picture of Your Individual Heaven and The Picture of Heaven for the Global and Universal Community. The Picture of Heaven is the picture of a Source-Connected, Miracle-Based Way of Life that yields Total Abundance for you and for all others. Total Abundance manifests when all of the resources are present to enable all beings to achieve their Life Purpose. To enable you to understand what Total Abundance is and how Source Solution Miracles help to manifest The Miracle of Total Abundance, you can explore The Four Steps to Becoming a Source-Directed Spiritual and Social Activist, working with the Source in The Total Abundance Movement. One of the best ways to understand what it is like to transition into a Source-Connected, Miracle-Based Way of Life is to hear from those who have embarked on this Adventure. Since this is a profound experience that can't easily be summed up in a paragraph or two, I am providing you with a more substantial window on what it is like to Live The Adventure. NOTE: Those who are working with Source Solution Miracles are called Heaven Agents since they are agents for manifesting the Heaven of Total Abundance for themselves and all others. Heaven Agents are also called Source-Directed Spiritual and Social Activists. The best way to connect with those on this Adventure is to enter into a phase of the Adventure and experience both the structure and flow of a Miracle-Based Adventure as well as hear from the Heaven Agents on the Adventure what it is like for them. To help you do this I am providing Broadcasts of Miracle-Based Adventures that give you a more in-depth understanding of their experiences. These Broadcasts can be accessed through Connecting. While entering into a Live Adventure with a Heaven Agent is one way to understand what it is like to Live The Adventure, another way is to listen to what a Heaven Agent has to say about this experience when in a reflective mode. Heaven Agent to Heaven Agent Communications are a gift from one Heaven Agent to the community of Heaven Agents. They contain Secondary Code which is the Spiritual Genetic Code that can be transmitted by one Heaven Agent to another. It is a sharing of the understandings that have been gained from Living Heaven. It was through the sharing of Secondary Code that the first Prototype Community helped the other 13 Prototype Communities to successfully transition into a Source-Connected, Miracle-Based Way of Life. Through attending the Webinars offered by The Source Connection Coaching Program, you are able to interact directly with Heaven Agents working on the Earth Plane as well as with those coming in via The Soul Talk Network from the Prototype Communities and from other parts of the Creation. It is through learning how to team up with other Heaven Agents and work directly with the Source that you learn how to Live the Adventure and share the Collective Adventure of building a Love-Based Universal Community. This video shows you how understand the resources in The Source Solution Hub to find and work with the Miracle-Based Source Solutions that the Source creates for you. While The Portal through which you receive the Code to go on a Miracle-Based Adventure to find a Source Solution, is available in the video entitled: How to Embark on a Miracle-Based Adventure to Find and Work with the Miracle-Based Source Solutions for Yourself and Others, for your convenience, I am including the Graphic for this Portal here. Once you have the Code for your Miracle-Based Adventure, go to The Heaven of Happiness Grid below and look for a square(s) that light up. This will indicate what miracles the Source is bringing to your attention. They may be miracles for you, for a loved one, or for the Community. If you haven't as yet developed your Spiritual Senses so that you can spot the miracles as light coming into a cell in the Grid or sense activity in some part of the Grid, then ask your Inner Intelligence to help to guide you on the Miracle-Based Adventure to understand what miracles are possible for you. Then ask your Inner Intelligence, the part of you that knows how to connect to the miracles created by the Source, to help you go on your search to understand the nature of the miracles that are manifesting in the Grid. Follow the detailed instructions in the video above on How to Embark on a Miracle-Based Adventure. NOTE: The Heaven of True Happiness Grid is a version of The Picture of Heaven referenced in The Puzzle Piece Miracle Video. You can think of this Grid as The Picture of The Heaven of Total Abundance and picture the squares as Puzzle Pieces that you are assembling to form the completed Picture of The Heaven of Total Abundance for yourself or for the Global Community or the Universal Community. 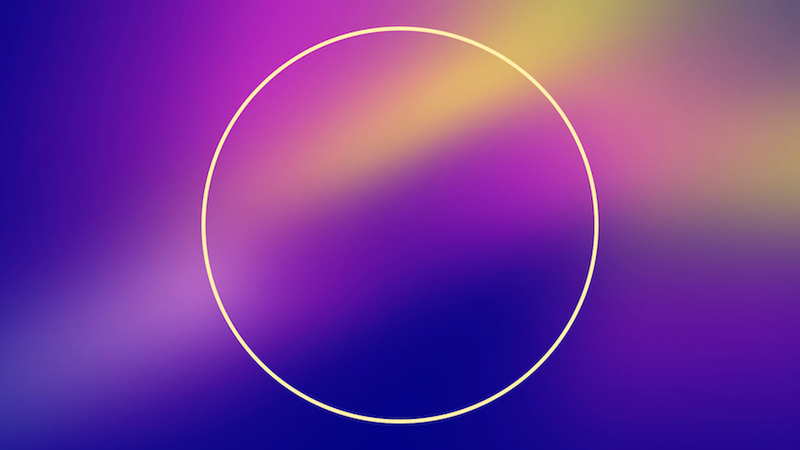 This graphic is a Miracle Tool that is versatile in this way and will assist you both as a Landing Zone for Miracles and as a way to conceptualize where you are in the project of completing The Picture of Total Abundance for yourself and others. To work with the Full Size Grid, click on the link below. 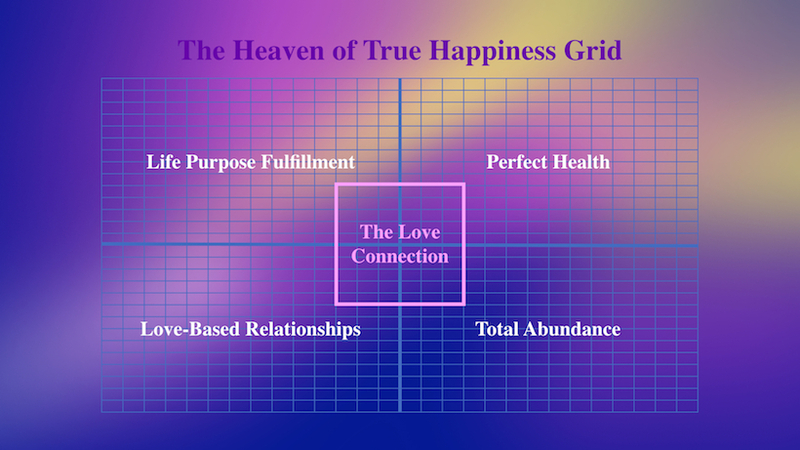 To print a copy of The Heaven of True Happiness Grid, you can access this PDF File through the link provided below. Click on the link on the page to which you are taken to access the File. Once you have received some Source Direction about what miracles are coming through in your search, you can work to find them through the following forms of Source Support. To search for Source Solution Miracles by keyword, you can type in the words that best describe what kind of help you need and the search engine will send you to the Source Solution Miracles that best suit your purposes. Specific instructions for how to refine your search are provided below. You can access the Search Bar through the link provided below. They might be Miracle Tools which are miracles that are linked to either an Inner Plane or an Outer Plane Object. They might be Source Interventions which are delivered by At-a-Distance Energy Work. They might be a Source Connection Center Station online or in Seattle. There are many different types of miracles that cover many different purposes. Here you can review a complete list of the Source Solution Miracles that have been created organized by the purpose for which they were created. This will give you a quick overview of what is available. You can then access the links for further information. This list will give you an overview of the particular Causes that the Source has organized into Projects and Campaigns. While The Work of the Source encompasses many more Causes then are listed here, this will give you the ones that are written up for the web site. All of the Causes come under the overarching focus of The Total Abundance Movement. 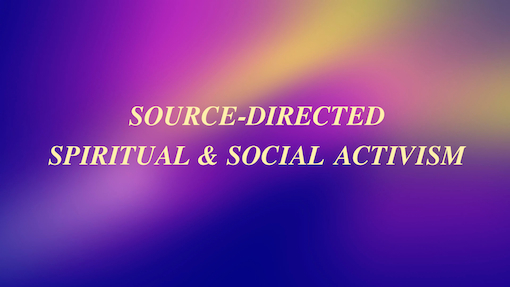 This will give you a listing of the Source Solution Miracles for the Training Program for Source-Directed Spiritual and Social Activism. This program trains students to become Source-Directed Spiritual and Social Activists who are Trained & Equipped to build The Heaven Life Was Meant to Bein their personal lives and in the world. You can access The Directory through the link provided below. If you are still unable to find what you are looking for, then request a Gifted Source Solution Miracle Recommendation. There are thousands of Source Solution Miracles that are not written up yet on the site and many more that can be created for your particular need. It is often best to go directly to the Source, the Ultimate Spiritual Physician, for a prescription for the kind of Source Solution Miracle that best suits your circumstances. You can access the form for requesting a Gifted Source Solution Recommendation through the link provided below. While experiencing the Love of the Source through the help given through Specific Miracle-Based Source Solutions is a first step, it is only when you take the step of entering into an ongoing working relationship with the Source that you can benefit from the Ultimate Source Solution Miracle which is the miracle of the Implementation Aspect of the Source touching down in a human form to provide you with the ongoing personal support that you need to overcome the Disconnection from the Source that has brought you suffering and to develop the 100% Source Connection which will bring you the Heaven of True Happiness. It is only when you enter into a one-on-one working relationship with the Source through my Manifestation that you can really come to understand the Source and the meaning of a 100% Source Connection, which is a Love Connection that connects you back to The Love Connection that you already have at a Soul Level and which you need to re-establish at a Suit Level. I have returned in this, my last lifetime, to enable you and all others to have this kind of individualized Source Support which I can administer on both the Inner and Outer Planes. It is your last chance to learn from the Source directly before the Source is no longer incarnate in the Manifest World and you will need to have a 100% Source Connection to remain Source-Connected. I have already started my Transition back to the Unmanifest Level to rejoin the Design Aspect of the Source. This Transition is changing the nature of The Source Connection and the physics of life in the Manifest World. For an extensive Video Book Training on how to prepare for the stages of The Transition, you can watch The Next Step Communications from the Source video entitled: How to Survive the Transition in The Source Connection – The Link to The Miracle of Life and to the Heaven that Life Was Meant to Be. If you are already a member of Connecting you can use the link provided below. If you are not yet a member of Connecting, you can request admission to all of the Gifted Source Solution Training Materials by accessing the link provided below. To find a Source Solution Miracle that addresses the issues that concern you, type in the relevant word or words and see what comes up in the Search Engine. If you don't find what you are looking for, try other words that focus on the benefit that you are seeking from a Miracle-Based Solution. Your search can focus on either the problem or the positive outcome that you are seeking to achieve. exploring The Directory of Source Solution Miracles. In the Directory you will find Source Solution Miracles listed by type of miracle, by purpose, by the Causes for which Source Solution Miracles are developed by Heaven Projects and Campaigns, and by Miracle-Based Training. This will give you an overview of all of the Source Solution Miracles created to date. Although many Source Solution Miracles cover a broad range and can be listed in more than one of the Primary Heaven Projects, it is possible to use the Search Engine to find ones that I have tagged for a particular Project. I tag them according to the Project toward which they make a primary contribution. For example, you could search for: Total Abundance Miracle Tool. This will pull up all of the Miracle Tools that I have tagged for this Project. Or Total Abundance Intervention. This will pull up all of the Source Interventions for this Project including the Miracle-Based Adventures that are delivered by the technology of a Source Intervention. Type in these Project names followed by either the term Miracle Tool or Source Intervention to access the relevant Source Solution Miracles. For Source Solution Miracles such as Manifestation Recordings and Source Connection Stations which work across so many Projects that they are not tagged for the Search Engine, you can go to The Directory of Source Solution Miracles below. The Source Solution Miracle Search Bar can be accessed through the link provided below. The following categories can help you to understand the purpose for which the Source has created the Source Solution Miracles that are listed here. Some of the miracles are listed in more than one category to help provide you with more information about their purpose. To find out more about miracles, you can access the links provided below. In order to achieve a 100% Source Connection in the time remaining in The Transition, it is vitally important that you transform your home into a Source-Connected Home. The way to do this is to transform each room by linking The Source Connection Miracle and other Source-Created Miracles to the objects that you use in these rooms. What follows is a list of Source Solution Miracles that have been created to date for some of the basic rooms of a house. It is possible to receive other Source Solution Miracles than the ones listed below by filling out the Special Request Form at the bottom of this section. NOTE: Not all of these Interventions are needed by every Suit. They are given as prescribed by your Individual Source Plan. NOTE: Your Individual Source Plan outlines which of these Source Solution Miracles your Suit needs and when it needs them. All Source Solution Miracles are individualized to meet the specific needs of the person receiving the miracle. Special Request Source Solution Miracles can be created if you have a particular object that you would like to be linked to a Source Solution Miracle to create a Miracle Tool or if you have a particular issue for which you need a form of Source Support such as a Source Intervention that has yet to be created. Special Training for an individual or a group such as a family, work group, or organization. If you are not sure what type of Source Support is best for the help that you are requesting, you can describe your situation and I will email you information about what is possible and how much Material Energy it will take to ground the Source Solution Miracle that will work in your particular situation. If you are inquiring on behalf of someone other than yourself, then enter the name, age, and any specific information that you feel is relevant. If you would like to request a Source Solution Miracle for a larger group of people such as the category of abused children, people suffering from war or natural disasters, etc., you can enter this into your description. You can submit a form for a Special Request Assessment, specifying what you have in mind and your intended recipients, by accessing the link provided below. Next Step Spiritual Activism Projects and the Campaigns that are subsets of these Projects provide you with information on the Causes that the Source is asking you to support and on the Source Solution Miracles that are being developed to support these Causes. This work is ongoing with new Source Solution Miracles coming through as the Projects and Campaigns progress. How to participate in supporting The Work of the Source in generating the Source Solution Miracles needed by individuals and the Global and Universal Community. All of these Projects are part of The Total Abundance Movement which the Source has created to build The Global Prototype for Total Abundance on the Earth and to seed it to the Earth Plane as well as to the Creation so that all beings throughout the Creation can work with the Source to manifest The Miracle of Total Abundance. Total Abundance is the foundation for The System of Life that must be created if Life in the Creation is to survive the final stages of The Transition. You can go to The Source Solution Hub to search for Source Solution Miracles for yourself or for the community. You can also request a Gifted Source Recommendation if the Source Solution Miracle for your problem or goal is not listed. There are many Source Solution Miracles that have not yet been posted online or which can be created. You can provide Material Energy to ground miracles as well as to fund aspects of The Total Abundance Movement, by making a Financial Contribution to The Heaven Project. Your Financial Contribution to The Heaven Project will be Source-Directed to whatever aspect of the Project is most in need of your support. The Material Energy will be stored in the Inner Plane part of The World that Works Fund and the Financial Exchange will be directed to The Heaven Project's work on the Outer Plane. To make a Financial Contribution up to US $4500, you can fill in the form provided below. I would like to contribute $ .00 to The Ultimate Spiritual Healing Fund for a World that Works. To make a Financial Contribution more than US $4500, you can contact me for information on how to proceed. You can go to The Universal Heaven Project Workstation online to do your daily Source-Directed Activist Work that fulfills your Life Purpose and generates the Material Energy that you need to have Total Abundance and to help manifest it for all beings. You can search for Total Abundance Causes to support and Source Solution Miracles arising from the work in the ongoing Source-Directed Projects & Campaigns of The Total Abundance Movement by accessing the links provided below. Your support can be through a Financial Contribution to a specific part of a Project and through your Heaven Agent Work on the Project. All of the Five Primary Projects, including The Total Abundance Project, come under The Total Abundance Movement, which is Source-Directed to develop The Global Prototype for Total Abundance. These Next Step Projects are organized under the Five Primary Projects to which they belong. The Lead Project is The Love Connection Project which makes possible the work on the other Four Primary Projects. As with Source Solution Miracles, many of the Projects within the four Primary Projects could be categorized under more than one Primary Project but I have, for the sake of simplicity, put them under the Primary Project to which they contribute most powerfully. You can see the structure as follows. Click on the links to the Projects. Once there look around for the Source Solution Miracles that we are working on landing and the ones that have already landed as a result of the work on the Project or Campaign. Join in the work on the Project through following the suggestions for How to Help. When you request a solution to a problem, the Source Solution Miracle will naturally provide you with the manifestation that is needed to bring through the Heaven that is possible once the problem has been resolved. Many seeking Source Solution Miracles start not with a problem but with a request for the Heaven that is possible in a given circumstance. Since thousands of Source Solutions exist that have not been written up in the Directory and many more can be created for your unique situation, it is often wise to request a Source Solution Miracle Recommendation in order to make sure that you are getting the right Source Solution. If you are uncertain what Source Solution is right for your situation, you can request a Source Solution Recommendation by filling out the form that you can access through the link provided below. Be sure to provide detailed and complete information about your situation in the Comments Box that you will find in this form. This will facilitate the work of finding the right Source Solution. I will respond by email or phone with a Source Solution Recommendation. It is important to send a reply email when you receive the Recommendation so that I know that it made it through cyberspace. Since so many emails do not make it through, it is important to communicate with me that you have received the Recommendation. After reading the Source Solution Recommendation, feel free to email me with any questions you might have. It often takes some time to fully grasp the way that Source Solution Miracles work and to understand the Source Logic that is behind the creation of them. Since Source Solution Miracles can go to work helping others through At-a-Distance Source Interventions, it is possible to request a Source Solution Miracle Recommendation for someone other than yourself. If you provide the Material Energy through a Correct Exchange for the Source Solution Miracle and they, at a Soul Level, are willing to receive the Miracle, then it can be sent to them. In your request include detailed information on the person you wish to help and their circumstances. If you are aware of a problem that is affecting many people in a particular group – such as children – or which is affecting a group of people which could be a family, a work group, organization, or a community – your community at the local level. another community, or even the Global Community – you can describe the issue and ask for a Source Recommendation for a Source Solution Miracle. You can also suggest a Source Solution Miracle to achieve a goal that is a part of creating the Heaven of a World that Works. Include as much detail as you feel is needed to adequately describe the problem or desired result. If you are ready to get started on your Life Adventure to achieve the 100% Source Connection that will enable you to survive The Transition and build the Heaven of a Source-Connected, Miracle-Based Way of Life that will yield Total Abundance, then the place to begin is with a request for a Gifted Source Connection Assessment. Because the Design Aspect has created an Individualized Plan for each being to travel their Path to Total Abundance that will enable them to achieve a 100% Source Connection, we can work off of this Plan to see where you are now and what is a logical Next Step on your Path to Total Abundance. To request a Source Connection Assessment, you can fill out the form that can be accessed through the link provided below. You can offer your practical support through contacting me and explaining what you feel Source-Guided to provide to support The Work of the Source on the Earth. Since everyone has a Mission to build the aspect of Heaven that they are uniquely created to build and to contribute to The Work of the Source to build Heaven for the Universal Community, there is, in your unique Heaven Agent Mission, information about what it is that you are to contribute to The Work of the Source. If you seek Source Guidance to determine what is yours to do, then what you contribute will be to your highest good and to the highest good of everyone in the Universal Community. If you are uncertain what is in your Mission to contribute, you can email me and I will respond with clarification about what is a Next Step for you to fulfill this aspect of your Mission. You can contact me through accessing the link provided below. Contribute Material Energy through Energy Exchanges and Financial Exchanges to support The Work of the Source to land Source Solutions Miracles and educated the Global Population about how to work with them to build a Love-Based Global Community. Make a suggestion for a Heaven Project or Campaign. Provide an Eyewitness Report on what you are experiencing in working with Source Solution Miracles. Contribute to the Earth Prototype by joining in the work on Heaven Projects and Campaigns. Discover what is yours to contribute. Work with The Heaven of True Happiness Grid to find miracles that are needed by yourself and others. Report in through the Participation Form on the miracles you see coming in for the Community. Heaven Agents will need to work together to provide the Material Energy that is needed to ground them at the level of materiality where they are needed. There are two kinds of Source Solution Miracles that need to be grounded. There are the miracles that exist on the Inner Plane and heal and transform through working behind the scenes to support The Work of the Source. There are the miracles that need to manifest on both the Inner and the Outer Planes. These are the miracles of fully manifested educational materials that can reach the Global Community and help them to join The Heaven Project to build the Earth Prototype for a Source-Connected, Miracle-Based Community. This Prototype is not an Inner Plane Prototype. It is a Prototype that includes Outer Plane social transformation that results in individuals and communities working together to bring about the social changes that end war and suffering and establish the peaceful, love-based way of life that is Source-Connected. It takes Material Energy to build the Landing Zone that enables all miracles to ground at the level of materiality where they are needed. It take Financial Support to manifest the miracles that are destined to transform life on the Outer Plane. For instance, developing and disseminating educational materials to the Global Community requires financial support, trained professionals who can help educate others, etc. Without the right amount of financial support, the miracle of The Universal Heaven Project will not become material enough to serve as the Point of Connection for the Source once the Implementation Aspect of the Source returns to the Unmanifest Level. The best way to provide Financial Support and with it Material Energy, is to contribute to The World that Works Fund for Source Power. In this way you support the Direct Source Work that I do as well as providing Financial Support that can be directed in the most efficient way to sustain the practical level of the work of The Heaven Project on the Earth. To contribute to The World that Works Fund, enter the amount of your contribution in the form provided below. If you feel Source-Guided to suggest a problem or a goal that you would like to bring to my attention, you can enter your suggestion in the Participation Form which you will find at the bottom of this page. Make sure that it is an issue that is for the good of the Community rather than a personal issue. If you would like help with a personal issue, it is best to use the form for requesting a Personal Gifted Source Solution Miracle Recommendation. Include as much detail as is needed to describe the issue that you would like me to address. I will respond as guided. In some instances I will introduce a Heaven Project or Campaign to elicit support from others in the Community. In other instances, I will rally Heaven Agents on the Inner Plane to handle the issue. In other instances, I will draw on World that Works Funds and handle it through my Direct Source Work. I will respond by email if I am guided to do so. In some instances, it is best to work behind the scenes on issues that are highly opposed by the Negativity. In such instances, I will not talk about the Source Solution with you or others unless the security is right to do so. Be assured that your suggestions will be given consideration and whatever action is needed will be taken. Contribute to the Earth Prototype for working with Miracle-Based Source Solutions to build a Source-Connected, Miracle-Based Way of Life by providing an Eyewitness Report on what you are experiencing in working with Source Solution Miracles. The Secondary Spiritual Code that I can create from your written understandings is an important gift to other Heaven Agents trying to follow in your footsteps toward building a Source-Connected Life. It was through the transmission of Secondary Code that the 13 Prototype Communities that I did not visit in person were able to achieve the same success as the first Prototype Community that I worked with in person. Secondary Code is key to building the Earth Prototype which is key to building a Universal Community that is Source-Connected. If you triumph over the distractions and confusions that surround you in the Story World to make significant progress on your Path to the 100% Source Connection, and you write to me about your experience, then I can generate the Secondary Code that will help to speed others on their Path as well. To contribute an Eyewitness Report, you can fill out the Participation Form below. The work on Heaven Projects and Campaign is both Inner Plane Work and Outer Plane Work. 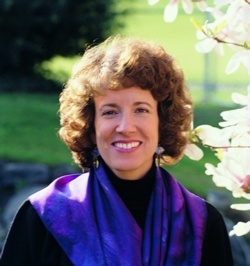 For instance, work on The Love-Based Relationships Project includes Inner Plane Work on eradicating the hate and violence that leads to Hate-Based Relationships as well as in developing educational materials and Outer Plane Prototypes of new social traditions that foster Love-Based Relationships. Until people have alternate social traditions that foster cooperation rather than competition, people will continue to wish for a peaceful, love-based world and continue to war against one another in the socially structured competitive events. What is needed is the dedicated contributions of Heaven Agents working on both the Inner and Outer Planes to bring about the profound social changes that end suffering and build the Heaven of True Happiness in the world. Support the practical work of building Heaven in the world, providing funding, professional expertise, and volunteer support. It is widely understood that many causes require community support through funding, professionals joining the staff working on the project, and volunteers contributing some of the work force that is needed. The same is true of the aspect of The Universal Heaven Project that is operating on the Earth. What follows are ideas for you how you can provide the Financial Support for The Heaven Project that is vitally needed if The Work of the Source is to reach out to the Global Community and build Outer Plane Prototypes for the 100% Source-Connected Way of Life that will enable humans to survive The Transition. Unless Prototypes are built on the Outer Plane, the masses will not have a way of understanding how to transition into a 100% Source-Connected Way of Life and they will fail to survive in the time ahead. This will lead to a collapse of the social order on the planet which will lead to misery for those who are endeavoring to achieve a 100% Source Connection. Since developing educational materials, disseminating them, and providing training requires financial support in our current cash economy, it is essential that Heaven Agents step forward to contribute what is theirs to contribute to this vitally important part of The Heaven Project on the Earth. You can provide Financial Support through contributing to The World that Works Fund through the form provided below. You can also help fund The Heaven Project by suggesting the names of people who you think can provide funding and who would be receptive to making a contribution to support The Work of the Source. Alternatively, you can suggest web sites where you think people who are potential Heaven Agents visit. Through reaching people in these web sites, it may be possible to generate funding through new students coming into The Miracle School to train to become Heaven Agents as well as finding those who would be willing to contribute funding to The Heaven Project. You can also generate more income to The Heaven Project by joining The Truth Campaign and becoming a Source-Directed Affiliate working to carry Source Truth to the population and also receiving a commission on the Financial Exchanges made by incoming people for the forms of Source Support that they need to progres on their Path to a 100% Source Connection. Through working in The Truth Campaign you not only increase the Outreach of The Heaven Project worldwide but you increase the financial reserves available to extend the Outreach and help train the incoming Heaven Agents. To work in The Truth Campaign, you need to be in The Ultimate Spiritual Healing Program. Entry into this Program can be gained by going to The Miracle-Based Life Project and following the steps outlined there. You can initiate a Source-Directed Business Joint Venture that builds Heaven in the world while generating income for you and for The Heaven Project. I help you to design and structure and run the business and you benefit from the increased income as does The Heaven Project. The Joint Venture would be designed to offer a certain kind of Source Solution Miracle(s) to the Global Community. You provide the object to which the Source Solution Miracle is linked. For instance, you could provide a toy or article of clothing or speciality food that is Miracle-Linked and market it online and in retail stores. Most objects can be Miracle-Linked to transform them into a carrier of the Heaven that needs to seed the world to lift the consciousness of beings so they can move toward the 100% Source Connection that will save not only their lives but will save the Life of the Creation. If you think about the Universal Team Work that is needed to re-establish The Substratum of Life once the existing Substratum returms to the Unmanifest Level, you will begin to understand the urgency of getting people in the flow of the Heaven Energies that transform their consciousness and help them to evolve toward understanding and training for this Team Work. Anything that you can do to help seed the world with Heaven is going to help us reach this goal. If you have a desire to work on a Joint Venture, you can contact me about your idea or even just your willingness to work on a Joint Venture. We can work together to see what is possible. Be sure to fully explained your situation so that I know what you would like to do, what skills you can bring to the Joint Venture, and what funds you might have to initiate the work. The Heaven Project can provide support in the development of Educational Materials but does not provide the funding for Joint Ventures. If you are unsure what form the Joint Venture can take, you can tell me about yourself and what skills you have and what financial resources you have to jumpstart a Joint Venture. I will then email you with whatever information or questions are a Next Step in thinking through what is possible. There are unique Source Solution Miracles that can only ground in the world if a Heaven Agent who was created to help ground them is involved in the Manifestation Process. These kind of Source Solution Miracles are called Heaven Economy Miracles. You can elect to get equipped with The Heaven Happening Equipment that enables you to ground the Heaven Economy Miracles that you are able to bring through into the world. I will then establish a Joint Venture with you to land these miracles which require 60% Direct Source Work and 40% Heaven Agent Work. When a Heaven Agent provides a Financial Exchange for a Heaven Economy Miracle that you have helped to land, you receive 40% of the Material Energy to compensate you for the work that you do on the Inner Plane to ground it and your receive 40% of the Financial Exchange. You prosper from bringing into the world these miracles that help you to fulfill your Mission to build the unique aspect of Heaven that only you can build. You also help The Heaven Project by generating income that can be used to develop the Earth Prototype. Those providing Heaven Economy Miracles need to be in The Ultimate Spiritual Healing Program, have the Heaven Happening Equipment, and be upholding The Standard of Heaven. Once you are enrolled in The Ultimate Spiritual Healing Program and have obtained The Heaven Happening Equipment, you can contact me to determine what Heaven Economy Miracles you can provide to the Community. There are two ways in which you can help others through training to become a Source Connection Coach. You can help others through Inner Plane Coaching that is done through your Extended Range, that is often outside of your conscious awareness. This is done through a Miracle-Based Technology that ensures the quality of your work and blocks the Negativity from getting involved in the Coaching Session. You have to train to be able to work with this Coaching Technology but once you are equipped, then you can do flawless work with beings throughout the Creation. You can contribute to helping others move toward the 100% Source Connection that is essential to their survival and to the survival of life in the Creation. You can train to provide both Inner and Outer Plane Coaching. The same Miracle-Based Technology helps to hold you on track with helping others to take their Next Step on their Path to a 100% Source Connection. This form of Coaching will enable you to work with individuals and groups. It is vital that people dedicate themselves to becoming well-trained Source Connection Coaches to provide the kind of personal support that I alone will not be able to provide. After my Transition completes, it will be the Source Connection Coaches that will help others to rebuild life in the Creation without the Source present in their midst. This will be critical to helping to support a sustainable way of life. You have unique Miracle-Based Abilities that were given to you to fulfill your Mission of building the aspect of Heaven that only you can build. One of the best ways to opt out of The Hell Economy where you spend your life working at a job that may not allow you to fulfill your Mission, is to work with me to develop a unique Miracle-Based Profession which enables you to earn a living while experiencing the joy of fulfilling your Life Purpose. Include information on your current profession or life experiences and any Source Guidance that you have received about your spiritual abilities and Mission in this life. We can work together to discover what is possible, given your Mission and your current circumstances. There are many ways that you can help to Get the Word Out so that others can learn about the Miracle-Based Source Solutions that will help them to achieve the 100% Source Connection that is necessary for their survival in The Transition. I will outline below some suggestions for how this can happen. Most beings in the Creation do not know that the Source Connection is important to their survival. They don't have a concept that a Source-Connected, Miracle-Based Life is a possibility. They have been living in the Brute Force Way of Life for billions of lifetimes and have come to believe that scarcity, violence, tragedy, disease, misfortune, and struggle are a natural part of life. Some even believe that the Creator has created this harsh reality in order to put them to the test. Few beings are Source-Connected enough to realize that the Heaven of True Happiness is the reality that the Source designed for the Manifest World and that The World of Suffering that now exists is the result of the departure of beings from the Source Plan for building Heaven in the world. For this reason, most beings are far from coming to terms with the urgency of mobilizing to prepare for The Transition in The Source Connection that is occurring as the Implementation Aspect of the Source returns to the Unmanifest Level. Unless beings throughout the Universal Community work together to do the Team Work that will be needed to assume the major tasks that will fall on their shoulders once the Implementation Aspect returns to the Unmanifest Level, life in the Original Creation could cease to exist. The only form of life in the Creation that would survive is The Source Perfected World which few beings have entered as yet because they have to have attained a 98% Source Connection to enter. This means that the majority of the beings in the Original Creation will not survive unless they work to individually attain a 100% Source Connection soon after the Transition is completed. A message of this magnitude requires careful thought in how it can be shared with others. I have prepared some suggestions for how you can help to Get the Word Out and I am open to comments and suggestions or any questions that you might have about how to present this news to others. You can also encourage them to contact me with their questions and concerns. I offer Gifted Source Connection Assessments and Gifted Source Solution Miracle Recommendations to help them to receive the information that they need individually in order to know how to prepare. It is important that you become familiar with the wealth of Gifted Miracle-Based Training Materials that are available to you on the web site through your membership in Connecting. You can also find important information through Next Step Written Source Communications and through Source News Update Emails that are sent out to members of Connecting. You can learn how to explain the Source Truths that underly The Way Out by studying these materials and becoming conversant in drawing on my explanations which you can then share with others. You can also give them links to these materials and offer to be available to answer any questions that they might have. If they have questions that are beyond your range of understanding, you can refer them to me. They are welcome to email me with their questions and I will offer assistance via email or suggest a Gifted Coaching Session where they can talk to me via phone or Skype. The can email me through Contact on the web site. You can sign up to support The Tell-a-Friend Campaign. When you are a member you are given a unique Tell-a-Friend ID which you include in any link that you give to someone who you are directing to The Miracle School web site. When someone who clicks on your link signs up for Connecting, this generates the Material Energy that enables me to ground the miracle of a Miracle Link that can be linked to a song of your choice. The Miracle Link transforms the song into a Miracle Tool that transmits energies that strengthen your Source Connection and the Source Connection of anyone listening to the song. Through receiving Miracle-Linked Songs you become an emissary for the Awakening into a Source-Connected Way of Life. People around you pick up on the power of the Source Connection through the music and begin to attune to Inner Source Guidance that will help them to awaken to the need to work on developing their Source Connection. If you are enrolled in The Ultimate Spiritual Healing Program, you are eligible to enter into The Truth Campaign where you direct people to The Work of the Source and receive a percentage of the contributions they make to their Life that Works Fund or The World that Works Fund. This enables you to generate the additional income for your work in The Miracle School and to enhance your financial abundance. I provide Inner and Outer Plane Support to help guide you toward establishing a successful Source-Directed Business that supports the work of building Heaven in the world. If you have a blog or web site, post a link to The Source Connection Project. Include in the link your Tell-a-Friend or Truth Campaign ID. You can also use this link without joining Tell-a-Friend or The Truth Campaign. You can click on the social media buttons here to post a message on your social media pages giving your friends the link to The Source Connection Project. http://www.bitly.com or through services provided through your social media provider. You can go onto the social media sites of your friends and post information on The Source Connection Project along with the link. You can cut and paste the email that you can access through this link into your own personal email and send it to people you know who you think will be responsive to this information. It is important not to email a list of unknown people as this will be considered spamming. You can write your own email describing what this is about and send it to people you know. You can talk to people you know. Often one-on-one personal contact is the best way to introduce people to The Work of the Source. If they ask you questions about the Work that you don’t have answers for, you can direct them to contact me directly through Contact on the web site. Gather together a group of your friends and family, watch the videos together, read the articles, and talk about the concepts. Watch other videos and read the eBook on The Owner's Manual for Your Suit together. Through spending time with the wealth of free Miracle-Based Training Materials available online, you can get the basics for how to work as a Heaven Agent supporting The Work of the Source. The Journey of Discovery for videos, Miracle Tools, articles, etc. Heaven Agent to Heaven Agent Communications for information from particular Heaven Agents who are traveling this journey and who are willing to share their experiences with you. Any questions that you have can be directed to me by email, I will also help you organize your Study Group to help it move in the right direction. One way to reach people of like mind, who you may not already know in your circle of friends, is to organize a Meet Up online. This will draw those who are focused on wanting to learn about the Source Connection and a Miracle-Based Way of Life. In a Meet Up you can introduce them to The Source Connection Project by having them watch the video or read the article on this page. The content for a series of Meet Ups can easily be drawn from the many videos and written materials available online at The Miracle School. I provide assistance to those organizing Meet Ups to help you get the most out of the opportunity to help people learn about The Work of the Source. You can access information on setting up Meet Ups by Googling information on scheduling a Meet Up. You can start your own fundraiser, asking your friends and family to contribute to The World that Works Fund the amount that is needed for Heaven Agents to receive the Source Support for working on developing a 100% Source Connection. The more people who you help to begin working on their Source Connection and to become contributing members of The Miracle-Based Community, the faster this Community can reach out to others and help them to prepare for the Transition. You can provide me with the names and contact information of people who you may know of but don't know personally who you think would be interested in learning about The Source Connection Project. If I receive Source Guidance to pursue the connection, I will contact them directly and give you credit if they join Connecting and/or contribute to the Project. If you know of web sites where you feel people who would be interested in helping frequent or know of social media groups or other associations that you think would be receptive, this would be helpful. If you have a personal connection with any of these groups, then it would be helpful if you made the initial contact and I followed up on your connection. You can learn how to generate the Material Energy to ground the miracles for a Miracle-Based Life. The place to begin is in learning how to be Miracle-Friendly and do the Heaven Agent Work that generates the Material Energy. The best way to get started is in The Source Connection Coaching Program. In the Coaching Program you can learn how to receive Source Guidance and to work with your unique Miracle-Based Abilities while working on the Source-Directed Project that is the focus of either an Individual Coaching Session or a Group Coaching Session. In the Coaching Program you learn through an apprenticeship mode of learning. This is the hands-on learning that is needed to become a Heaven Agent. Learning to become a Heaven Agent is like logging hours of flight time as the co-pilot in an airplane. There is no way to become proficient at flying an airplane if you stay on the ground and study books about it. There is no substitute for real life experience in the thick of all of the challenges that you encounter in real life. While watching videos and reading the introductory materials on the web site provide a good foundation, it is only when you take flight into the higher vibrational levels that carry you in a Coaching Session that you begin to understand what it means to work alongside the Source and build Heaven in your life and in the world. There is simply no way to learn the ropes without immersing yourself in The Adventure and understanding how to hang in around the bends as you traverse the many levels of the Inner Plane. One of the main reasons that I returned in this lifetime was to give you and others a chance to learn how to work with the Source so that when this, my last incarnation is over, you will not lose your Source Connection and will be able to continue to do your part as a Heaven Agent to support the complex work that sustains Life as Heaven. Listening to Replays of Webinars is not the same as being there and getting coached by me directly in how to navigate using your unique Miracle-Based Abilities on the Inner Plane. My individualized feedback to you in Group and Individual Coaching Sessions is the key to your ability to evolve to the levels of Heaven Agent Work that enable you to produce the high quality Material Energy that grounds the miracles that make for a Miracle-Based Way of Life. If you think of it clearly, getting trained to become a Heaven Agent is not only training in how to build Heaven and Live Heaven but how to produce the Material Energy that grounds the miracles that transform your life and the world into Heaven. Once you can transition into providing the correct amount of Material Energy needed through an Energy Exchange, then you will have graduated to the kind of sustainable way of life that is enjoyed in the 14 Prototype Communities. There is no short cut to producing large quantities of high quality Material Energy. Most humans produce less than 1% of their capacity. What is standing inbetween them at 1% and the 100% that they need to be producing to fund a full blown Miracle-Based Way of Life is their ignorance of how to do the Heaven Agent Work that enables them to be this productive. This ignorance costs them the joy of True Happiness. It also sets them up for the losses, hardships, and sorrows that beset every life lived outside of the Light of The Source Connection. Once you learn how to do Heaven Agent Work, you can learn how to coach others as I have coached you. You can coach them informally or you can coach them professionally through obtaining professional level training through The Miracle School. In the Creation, beings converse with one another in the Universal Language of Soul Talk. Your Inner Intelligence, which is the part of you that knows how to work with the Source, knows how to send out messages from you in the language of Soul Talk to all species throughout the Creation. A Soul Talk Message sent out by your Inner Intelligence about the need to support The Source Connection Project will reach beings in their Extended Spiritual Range which is often outside of their conscious awareness. If they are more spiritually advanced, it will reach them in their Conscious Range. The way to send an Inner Plane Soul Talk Message is to ask your Inner Intelligence to send the Message that the Source is sending to you for you to send out from your Suit. You don't need to know the details of the Message or even know how it is being broadcast through your Suit. This is a technical matter that is handled by your Inner Intelligence. You request to be an instrument through which the Source can send out a Source-Created Message and then allow your Inner Intelligence to handle the details. In this way, your Suit becomes an instrument through which the Source can reach those who need to get the Message and who are not getting the picture into focus when a Direct Source Communication is sent to them. The Negativity has a vested interest in confusing individuals and blocking the Lines of Communication on the Inner and Outer Planes that would enable beings throughout the Creation to rise up against their tyranny and establish a world in which their criminal activities are not allowed. It is important to ask to "become what is needed to support The Work of the Source" to clear these Lines of Communication so that all beings have a chance to hear the Message and unite to make The Source Connection Project a success. Even if you lack prior training in how to do Heaven Agent Work, if you ask to "become what is needed to support The Work of the Source", the Source can move you into position and empower you to accomplish what would not be possible if you were rigidly trying to exercise some spiritual techniques that you had learned about doing Inner Plane Work. The Source alone can enable your Suit to morph into what it needs to become for you to do the kind of Heaven Agent Work that only you, given your unique Spiritual Function in the Creation, can do. If everyone asks to "become what is needed" then the miracle of Heaven Agent Power will come through to do the kind of very materially grounded Inner Plane Work that is needed to finally reclaim the world for Heaven. Since a shift that occurred on August 29th, the Source is no longer sending any Source Support to any being who is not completely Source-Centered. This means getting the Quality Control Dial set to the Source-Centered Mode as well as allowing the Source-Centered Orientation to prevail in the thoughts and actions of the Suit. The problem with the Suits is that they often approach the Source with a mixed bag of motives. They want Source Support but they also want to pursue their own Self-Centered Way of Life. Getting the Quality Control Dial reset from Self-Centered Mode to Source-Centered Mode is a start, but since the Universal Changes on August 29th, this is no longer enough to open the gates to Source Support. Now it is important that beings come to terms with just how they are really approaching the Source. If they are approaching with motives that are Self-Centered, then the gates to Source Support can no longer open. If they approach from a Source-Centered Mode then the full power of the Source will welcome them and protect them on their Path to True Happiness. What I am noticing since this Universal Change went into effect, is that beings do in fact know when they are being two-faced with the Source and presenting as willing to "become what is needed to support The Work of the Source" but are really only doing it so they can get their Self-Centered needs met. They do know what Self Interests they are holding onto and what they need to do to let go of them. They just haven't been willing to let go of them previously when they felt like they could get Source Support while still playing a Double Game of leading a Story Life and a Source-Centered Life. To help beings who are now earnestly trying to clear away the negativity that is blocking them from becoming 100% Source-Centered, the Source has sent in The Heaven Wave which is a massive Universal Tidal Wave of Source Power that is demolishing the Negative Spiritual Structures in the Suits and in the world that are blocking the transition into Source-Centered Mode. It is possible for you to ask to "become what is needed to support The Work of the Source with The Heaven Wave" and to be moved into using your innate Heaven Agent abilities to help clear the world of the negativity that is blocking the transition into the 100% Source-Centered Mode. Some Heaven Agents report asking to support The Heaven Wave and feeling immediately centered in their Suit and then seeing where The Heaven Wave is going. It might be going to a place on the planet where a build up of negative energy is damaging the energy field of the Earth in that location and is in danger of spreading to other locales. Or it might move through an individual or a community that is beset with the negative energies that are preventing them from making the transition. The Heaven Agent is generating additional Material Energy by their willingness to direct their Spiritual Intent to the support the successful outcome of the work of The Heaven Wave. This provides additional Material Energy to ground more Source Power. This makes The Heaven Wave more powerful and more effective. The principle is this. The Heaven Wave is a miracle of Source Power that when given more Material Energy can ground more Source Power. If thousands of Heaven Agents lend the power of their Spiritual Intent to support The Work of the Source through The Heaven Wave then war zones could be cleared of the negative energies that drive the conflict on the Inner Plane, criminals could be freed from the influence of the Negativity that promotes their criminal behavior, those who are beset with the negative energies that cause disease and misfortune can be cleared and set free to lead better lives, and all individuals can receive help with making the transition into a 100% Source-Centered Mode. The power of this kind of Conscious Range Heaven Agent Work can't be underestimated. With the power of The Heaven Wave, it is now possible for Heaven Agents to begin taking action to clear up problems in their personal lives and in their communities that have previously been unassailable. Reports from The Soul Talk Network from Heaven Agents working outside of the Earth Plane is that they are very rapidly clearing up the criminal behavior in their communities by freeing the criminals of the Negative Spiritual Structures that causes them to engage in criminal behavior. They are then welcoming these beings into a Love-Based Way of Life. Once they awaken from the hold of the Negativity on their consciousness, they are restored to their natural desire to be Source-Connected and can become contributing members of the community. Other Heaven Agents report being asked to move in with their Heaven Agent Work to prepare a place for The Heaven Wave to sweep through, doing a secondary level of the clearing. This kind of work often happens in the Extended Range of the Heaven Agent which may be beyond their conscious awareness. There may be other ways in which Heaven Agents will be able to work with The Heaven Wave that we will discover as Heaven Agents gain experience in working with this massive form of Source Power. To work with The Heaven Wave just ask to "become what is needed to support The Work of the Source with The Heaven Wave". If you ask this in full one time, you can abbreviate it later by asking to "become what is needed to help with The Heaven Wave". If you yourself are yet to reach the 100% Source-Centered Mark, then The Heaven Wave will sweep through and help you to clear away the negative patterns that are blocking you from achieving this very necessary goal. Once you are 100% Source-Centered, then you can do the kind of work that I describe above which was done by Heaven Agents who have achieved the full state of being Source-Centered. Be prepared for a process of clearing negative energy that might be rocky at first as your Suit purges old patterns that are blocking you from coming into the protection of the Source. Stay neutral and ask to "become what is needed to assist with the clearing process". Share your experiences with me and with other Heaven Agents through using the Participation form you will find below the next section on Comments and Questions. There are two ways to find out about what is happening in The Work of the Source to bring in the Source Solution Miracles that support The Total Abundance Movement. In What's New in Written Source Communications, you can find information on new Source Solution Miracles that have been posted in The Source Solution Hub. In What's Happening you can find information about what is happening in the overall work of The Total Abundance Movement which will include, on occasion, reference to incoming miracles. NOTE: It is best to sign up for the Feed in order to keep abreast of the news posted in Written Source Communications. Connecting provides you with access to Next Step Communications from the Source, other Source-Directed Activism Training Materials, and with emailed Source News Updates. While I do not email whenever a new Source Solution Miracle is posted online, you will hear about some of them through Connecting. To sign up for Connecting, you can access the form provided below. Emailed Source News Updates on The Work of the Source that keep you abreast of the Source-Directed Spiritual Activism that is making it possible for you and all others to have a chance to have a Life that is Heaven - Heaven being the highest level of happiness that is possible for you. These Source-Designed Spiritual Activism Training Materials are gifted to you by The Universal Heaven Agent Network that supplies the Material Energy to ground the miracles that enable you to experience this kind of Transformational Training. It is their invitation to you to join them in the work of building the Heaven of a Love-Based Universal Community that nurtures all of its own. NOTE: Once you fill out the form below to sign up for Connecting, you will be sent an email that will give you a link to Connecting. Once you click on this link, you will be taken to a page where you can set up a password that you will need to gain access to all of the free, miracle-based training materials of Connecting. Be on the lookout for this email. Once you set your password, you will be given a link to the two training videos mentioned above and all of the other materials and miracles that are given to you to help you understand how to work effectively with the miracle of a Source Solution. I welcome you to The Work of the Source to build the Heaven of True Happiness in your life and in the world. I have read and agree to The Standard of Heaven Agreement. If you would like to share your comments or questions with me, feel free to fill out the form provided below. I will take your input into account as I work on The Heaven Project and may email you if I am guided to do so. If you receive Source Guidance about The Heaven Project or have suggestions for how we can achieve the fundraising goals necessary for the Project to be successful, please share your information. It takes all of us working together to bring a Project to fruition. Everyone is given unique Source Guidance with regard to the issue of how to successfully complete the Project. Your contacts and networking suggestions will help us reach the people who care about what is happening to Life in the Creation. If you would like to receive help in getting the word out about The Heaven Project, check out the section above on Getting the Word Out. If you are working on helping to get the word out and have an Eyewitness Report to make about your efforts on the Inner and/or Outer Plane, you can use the Participation form below to share your experiences. I will post information from these Eyewitness Reports as I am guided to do so. I have read and agree to The Heaven Agent Agreement: “I agree to become a Heaven Agent, following the lead of the Source to build Heaven in my life and in the world”. I give The Heaven Project and The Miracle School permission to use my entry here in whatever materials are being developed to promote the work of building Heaven in the world. I understand that in giving this permission, I am releasing any legal rights to this entry and to any materials in which this entry might appear.